The Son more radiant that the Sun! My question for you is this... Are you...? How to avoid sin. Where light exists darkness cannot. question for thought. Are you concerned about the will of God? Really? There are different interpretations as to exactly what the Spirit means for us in this passage. Some think it has to do with the believer having power over sin in Christ which certainly is true and partly what is being said; and others say more likely it is when we endure suffering for Christ we show our purpose is to not live for self, but for God, which also is a truth this passage conveys. Yet even beyond these I see an important even more practical message of God being taught here that some miss. He goes on to say that one who has suffered in the flesh has ceased from sin. Is he saying once we suffer for Christ we become sinless? It seems to say that at first glance. But no. He is speaking of practical theory here. He is telling us how to be like Christ and be a conquerer of sin in a practical way, a 'mindset' we should take on so we can be more holy in our living. He said take on this attitude. You see? He continues... "so as to live our remaining life in this flesh not for human fleshly passions but for the will of God." Then in verses following he gives practical examples of what living for self looks like.... Sensuality, drunkenness, wild partying, lawless idolatry and such debauchery. Peter is saying we must make our daily choices to live for the will of God and not for our natural desires, and in doing so we will not sin. This is taking the offense, not the defense against sin and the old flesh. The secret to an overcoming life like that of Christ, is to put God first in all things. Where light exists darkness cannot. 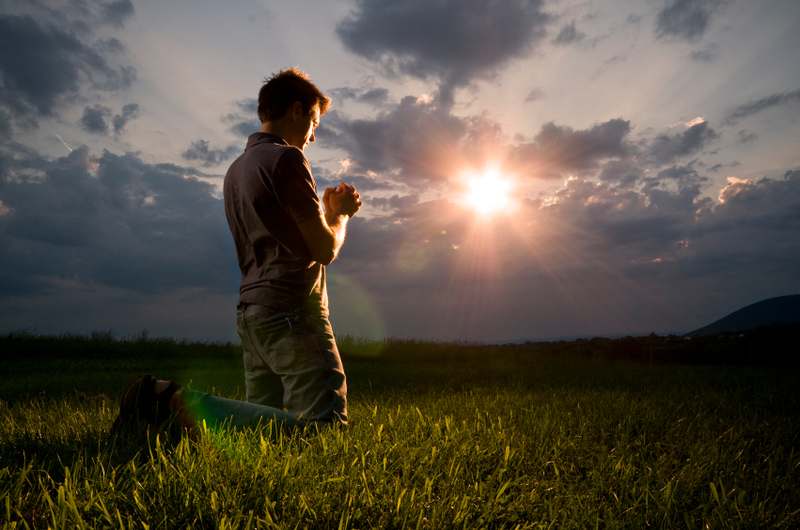 Pray to him every moment in total dependence like Jesus did while on earth. Jesus is our human example in how to manage fleshly temptations to live for self. We must learn to deny self by filling our every moment with God and his will for our lives at the that moment. Yes this is the greatest suffering for Christ that we will ever do. Outward persecutions are easier to bear than those daily, gnawing, cravings of the old flesh from within to live in prideful self ruler-ship and to set submission to God aside. But Peter is telling us that denying self and pursing God in Christ will keep us in pure holy living, thus avoiding sin. Give no room for the flesh. This is wisdom. So while I am choosing to suffer purposely for Christ by denying self, sin is being put to death in my body. Here in is how the old American proverb is held true. "Idle hands are the devil's so workshop." Purpose today to do more things solely in the Spirit's leading. Avoid idleness and look for ways to serve God by serving others in Jesus' name. Fill your days and life with the Light, and the darkness of sin will have no place to reside. In essence God is telling us through Peter's words that seeking God with our whole heart is how we guard our hearts from sin. Listening to him and following him is our pathway to live holy and not sin against him. Will we fail at times? Yes, we are human. But in the grace of Christ with his ever cleansing blood, humbly we can continue on and do even better as though we are pure and holy before God... because in Jesus Christ, we are! Seek him and avoid sins of the flesh. That... is living in the Spirit. May the Spirit of Emmanuel fill you this holiday season. They you will indeed have a Merry Christmas. God bless you.